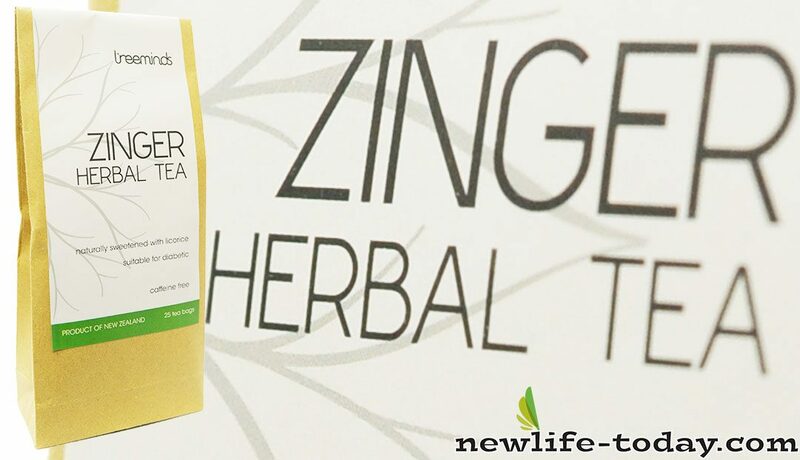 Buy this Herbal Tea Zinger at RM 25.30 (20% off retail) when you become a member of NewLife International. Add 1 tea bag to a cup of hot distilled water. Leave for 2-5 minutes. A soothing, calming herb that relieves fatigue associated with nervousness, as well as overactive and stressful body functions, including a nervous stomach, insomnia, menstrual cramps, and restlessness. It is soothing, with no harmful side effects. Chamomile aids digestion and encourages regeneration of liver tissues. This herb stimulates the adrenal glands. It counteracts stress and fatigue, while increasing energy. Beneficial for the liver, it prevents stomach and intestinal ulcers, flu, bronchial problems, lung congestion, hoarseness, sore throats, and hypoglycemia. Nature’s organic sweetener is safe for diabetics. This is particularly good for flavouring tea, as well as adding a good amount of natural Vitamin C, which aids in fighting colds and flus. This herb is considered to be the world’s number one aphrodisiac and is known to improve physical vitality and mental performance. It is excellent for those who are depressed and fatigued and promotes blood circulation, while curing digestive disturbances. Studies have shown ginseng to protect body cells from radiation damage and high cholesterol diseases. It is effective for colds and coughs. Spearmint adds a delightful mint flavour to the tea and is particularly useful for indigestion, gas, cramps, coughs, and colds. I have six children. As I am a full-time homemaker taking care of them, I always expect my children’s health to be in tip-top condition. This is why sometimes when my children have flu and cough, I would try different types of cough drops, hoping to help their cough, especially during the night when their cough would get worse. But the cough drops would not stop their cough.Till one day, I read about NewLife’s Licorice Zinger tea which claims that it can help to relieve coughing. I then tried it on my children and immediately it worked.They became better and could even get sufficient rest at night. For years now, if my children have coughing problem, I will let them drink I cup of the Licorice Zinger tea before they go to bed and 3-4 cups per day. Their cough will definitely get better and eventually subside with this special prescription. Thanks to NewLife’s Licorice Zinger tea. Certified organic, NewLife Chamomile Tea is considered a remedy for all ailments and it promotes calmness and relieves anxiety. Peppermint is a very popular traditional herbal drink which is known for its exquisite aroma. It enhances digestion by reducing spasms of the colon and intestinal tract and relaxes the stomach muscles. Nutritious herbal tea with Anitoxidant Properties. Naturally sweetened with licorice, Suitable for diabetic, Caffeine Free. Zinger tea contains herbs formulation that helps combat fatigue, increases energy level, improves mental performance, boosts immune systems, soothe colds and coughs and is a great drink for everybody who wants to improve overall well-being.